The Victoria Art Gallery is a public art museum with a collection of 1,500 works. 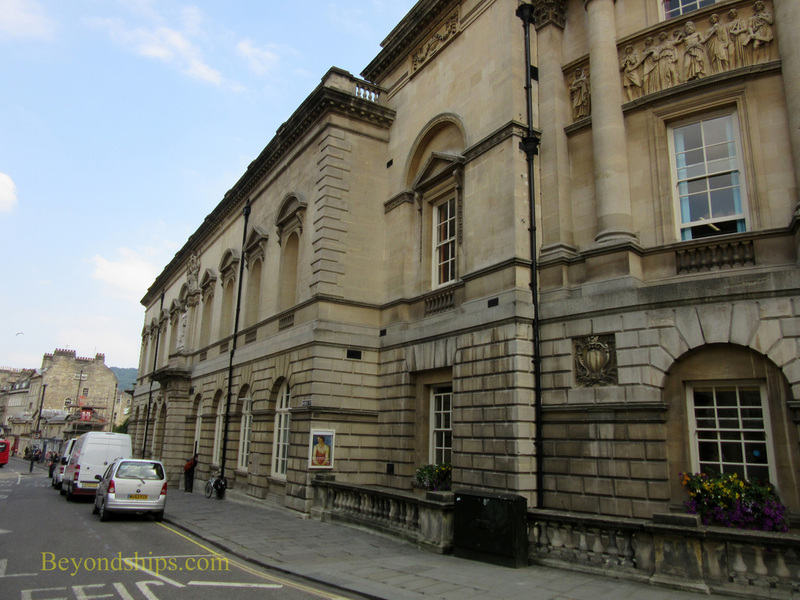 It is located not far from Bath Abbey and the Roman Baths on Bridge Street. A two-story limestone ashlar building houses the art gallery. It dates from 1897 and was designed by John McKean Brydon. Originally, the building was both a public library and an art museum. However, since 1990, it has been exclusively dedicated to art. The exterior has a series of niches, the largest of which holds a statue of Queen Victoria. 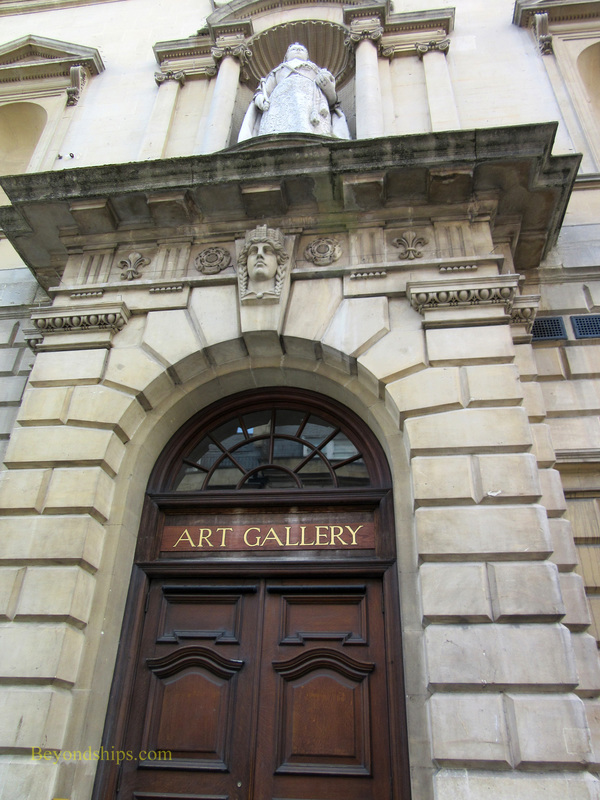 (In 1900, the gallery was named after her to commemorate her Diamond Jubilee). In addition to housing the gallery's shop, the lower floor is where temporary exhibitions are shown. There is a charge for viewing the temporary exhibitions. However, a discount ticket is available that also lets you visit the Roman Baths and the Bath Fashion Museum. The upper floor has exhibits from the gallery's permanent collection. 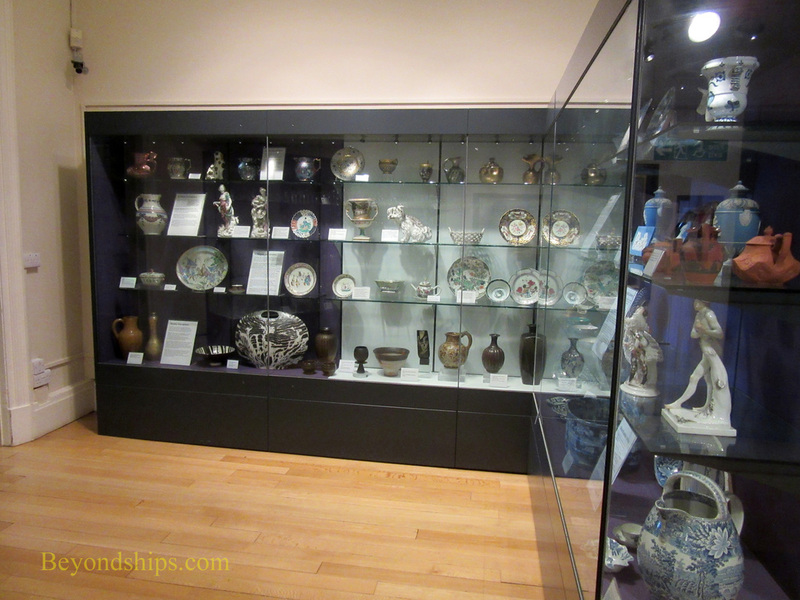 In addition to a collection of ceramics, the permanent collection includes a collection of British paintings from the 17th century to the present. It is not an overwhelming collection but it is respectable with works by Thomas Gainsborough, Walter Sickert and Rex Whistler. The permanent collection can be viewed free of charge. 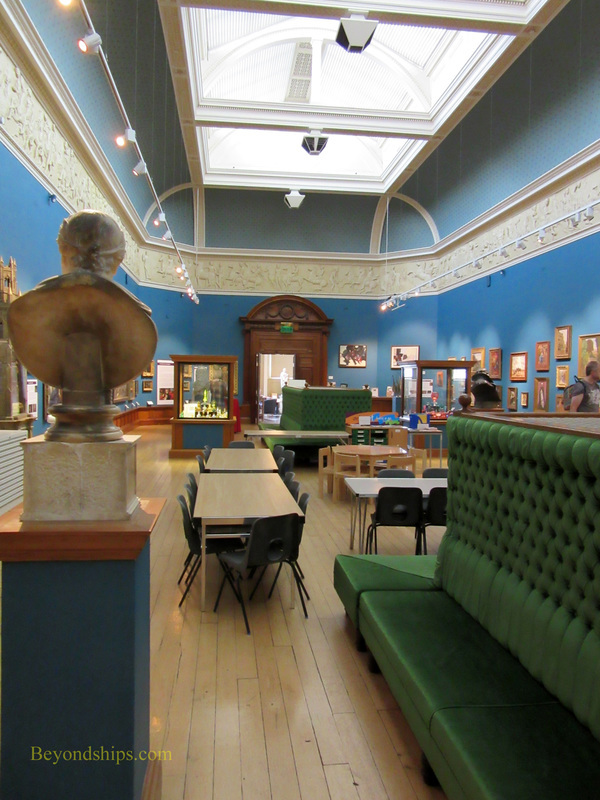 In addition to the exhibits, the Victoria Gallery offers activities for families and groups. ​For more on visiting, see the Victoria Gallery's website. Above: The permanent collection exhibition room. Below: An exhibit of ceramics.